Each year, the Racine community loses friends, neighbors, and family members to senseless killings, some of which remain unsolved. This website serves to tell the stories of these homicide victims in hopes of stirring your recollection of the crimes or incidents leading to them. 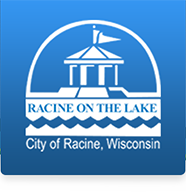 We invite you to review the stories behind these victims and report your anonymous leads and comments to the Racine Police Department, Crime Stoppers of Racine County, or through an email directly to the Investigative Bureau. On September 17th, 1997, Gregory Curtis, 29, was killed at 1636 Center Street in Racine. Officers responded to the residence for a party who had been shot. Curtis was discovered suffering from a fatal gunshot wound to the head. On July 28th, 1994 officers located Kizzy Riley’s body in the rear yard of 1644 Phillips Avenue. Riley was found to have suffered a fatal gunshot wound. Riley was 17 years old at the time of her death. On November 21, 1993 officer’s located Lisa Papara deceased in her apartment at 4111 Erie St. A subsequent autopsy revealed that Papara died of asphyxiation. On Sunday morning March 22, 1987 Wagner-Richardson’s body was found in the truck of her vehicle in an alleyway behind 1600 Layard Ave. Wagner – Richardson may have been abducted from the E.C. Styberg Engineering Company, 1600 Goold Street where she worked as a security guard. On November 9th, 2008, Ann Larsen, 29, was found deceased in her home by her former boyfriend. A subsequent autopsy revealed that Larsen died of a puncture wound to the chest. Larsen had been the victim of domestic abuse incidents prior to her murder and Larsen may have known her assailant. On March 12th, 2010, officers were dispatched to “The Market” neighborhood food store located at 1949 Racine St (also commonly known as “Mo’s”), on a complaint of shots fired with a man down. Upon arrival, officers located store owner Mohammed Shehadeh, 41, suffering from a fatal gunshot wound. Witnesses reported seeing two suspicious males in the area shortly before the incident. On May 31st, 2014, officers responded to the American Legion tavern regarding a homicide that occurred during the commission of an armed robbery. Surveillance camera footage revealed that two suspects entered the establishment and during the robbery, shot and killed Walker, an innocent patron of the tavern. On December 10th, 2010 officers were sent to 3501 Douglas Avenue for the report of a person shot during an armed robbery where several shots were fired. Officers discovered that Daniel Mayfield, 25, was shot and killed in his home during a robbery of where he and his roommate were the victims. During the early morning hours on Monday, June 16, 2008, Keontay Watson, 29, was standing in the 900block of Hamilton Street in Racine. Keontay was shot in what appeared to be a drive-by shooting. Watson was transported to the hospital for treatment; however he later succumbed to his injuries. Watson was killed 2 days after Jamaal Stanciel, who was from the opposite side of town and may be retaliatory. On August 18th, 2006, 7 year old Natesha Denton and her 44 year old grandmother, Gloria Denton were killed while trying to escape a large fire in their apartment complex at 4225 Durand Ave, the Park Vista Apartments. The fire was intentionally set and ruled arson. On April 10th, 2008, Senmeon William, 23, was shot outside of a Supermarket at 1407 Superior Street in Racine. Williams was a patron in the nearby Five Corners Tavern just prior to his shooting. This incident occurred in broad daylight at about 10:43 AM at the busy 5 Corners intersection of Douglas and Superior. On January 30th, 1995 police responded to 1308 State St (Mr. Kool’s Bar) for a report of a female that had been shot. Officers discovered that 34 year old Valerie Bridges was suffering from gunshot wounds. Curtis was transported to St. Mary’s hospital but succumbed to her injuries. On June 14, 2008, Jamaal Stanciel, 20, was standing with a group of friends in the area of 11th Street and Hilker Place in Racine. Shots rang out. Stanciel was struck by gunfire and was transported to the hospital by acquaintances; however, he succumbed to his injuries a short time later.